The idea is to cover a sizeable portion of the syllabus in the ninth and eleventh standards so that the students are not burdened before the board exam. From the next academic session, the Council for Indian School Certificate Examinations (CISCE) will prepare the final exam question papers for “core subjects” of classes 9 and 11. The Council for Indian School Certificate Examinations (CISCE) has issued a circular to all ICSE affiliated schools, stating that from the next academic session, it will prepare the final exam question papers for “core subjects” of classes 9 and 11. Till date, the annual examination papers for the two classes were framed by the respective schools. 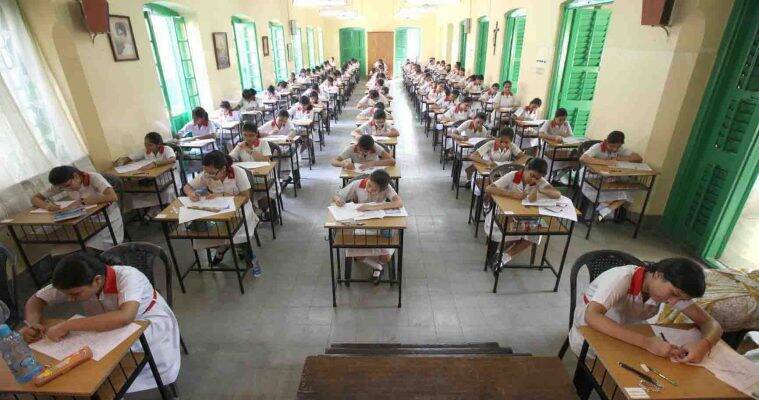 Nabarun Dey, the general secretary of the Bengal Chapter of Association of Heads of ICSE Schools, said,”The idea is to cover a sizeable portion of the syllabus in the ninth and eleventh standards so that the students are not burdened before the board exam”. Asked about the core subjects, Dey said it was not specified in the circular. The CISCE will probably take a call on the “core subjects” in the coming days, he said. The circular has been posted on the council’s official website, CISCE Chief Executive and Secretary Gerry Arathoon said. Also, the council announced its decision of lowering the pass marks for both class 10, 12 board examinations, a top official said. From this academic session onwards, a student will require 33 instead of 35 per cent for passing ICSE exams and 35 instead of 40 per cent for ISC exams. Arathoon had earlier issued a circular stating, “Kindly note that the change in the pass marks for the ICSE and ISC examinations will be effective from the examination year 2018 onwards and not 2019”.